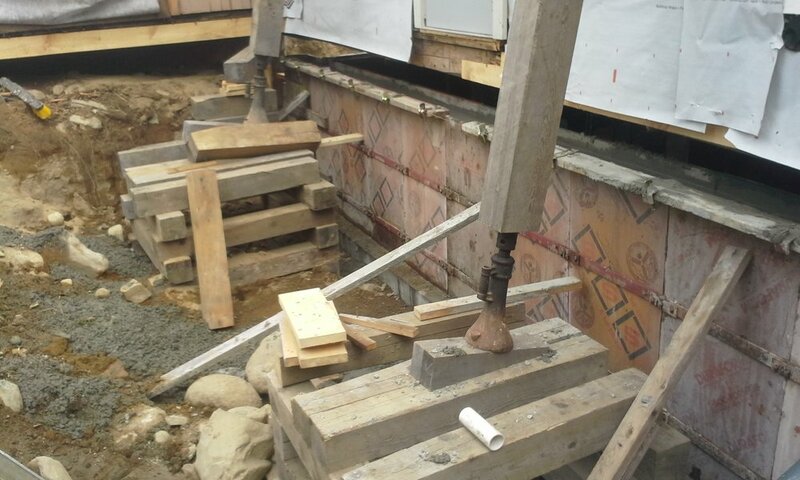 This job was a great example of an owner knowing the seriousness of their foundation problems and committing to the most effective way to fix it. This building is a small house attached to a cape that looks a lot like an addition but was actually the original house that the cape was attached to. All of the foundation had been redone in concrete at some point except for one section of failing rubble stone, because a shed blocked access to it. It was decided that the shed would have to come down to access the area with an excavator. The homeowner agreed to this and we were on our way, digging around and pouring a new frost wall, replacing multiple sections of rotted sill and reconstructing a timber framed shed with eastern white cedar siding.